Cheekadee Makeup Artists is one of the leading makeup artistry companies in the country today. Serving Philadelphia, New York and New Jersey, as well as surrounding areas. Cheekadee is known for its exceptional customer experience and our artists are recognized as some of the industry’s finest. 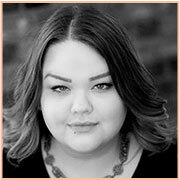 Cheekadee specializes in wedding makeup, special event makeup, makeup lessons, boudoir makeup and collaborates with leaders in the film, print and other media industries in the development of various projects. Cheekadee was awarded Best of Philly for Makeup Application in Philadelphia Magazine in 2011. 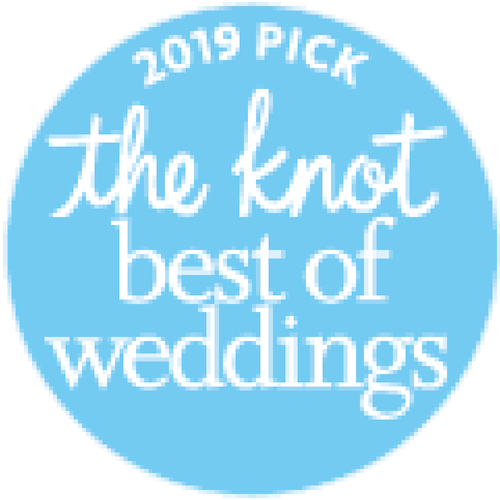 Cheekadee has received the Brides Choice 2009, 2010, 2011, 2012, 2013, 2014, 2015 and 2016 by WeddingWire.com. Additionally, Cheekadee was named Best of Philadelphia Makeup Artists 2008, 2009, 2010 and 2011 and 2012 by My Fox Philly’s Hotlist. Cheekadee and our artists have been featured in Redbook Magazine, Philadelphia Wedding Magazine, Brides Magazine, Philadelphia Style Magazine, Current Magazine as well as on national websites and blogs including Green Wedding Shoes, Wedding Bee, Wedding Wire, The Knot, Style Me Pretty, Indie Bride and Rock and Roll Bride and Martha Stewart Weddings. Past clients include: the cast of Glee, Philadelphia Phillies, RuffNation Records and Film, University of Pennsylvania, Drexel University, Jefferson Hospital, PA Lottery, Neiman Marcus, Nordstrom, Chanel Cosmetics, Shop Mamie, QVC and Conde Naste Publishing. Cesar Millan, NBC The Today Show. Michele Lepe, The Sprout Network. In addition, our artists have trained and worked as part of national cosmetic teams, doing runway and film makeup. Cheekadee has also collaborated with top modeling agencies (Ford and Next) and have had work published overseas. Cheekadee is also affiliated with several prestigious makeup groups, including: The Powder Group Pro, On Makeup Magazine, Naimie’s Cosmetics, Makeup Forever Pro, Smashbox Pro, MAC Pro, Tarte Cosmetics, Urban Decay, Nars and Face Atelier. Cheekadee has received the Brides Choice 2009, 2010, 2011, 2012, 2013 and 2014 by WeddingWire.com. 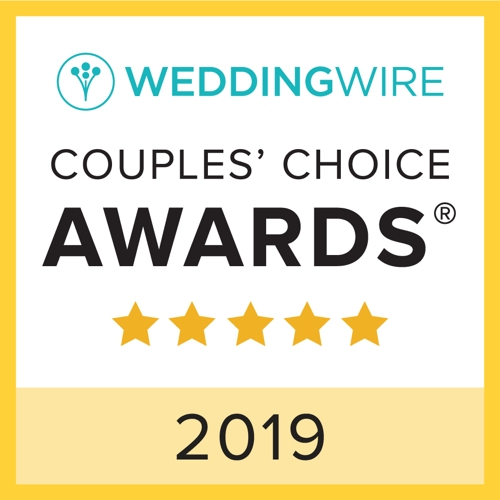 Cheekadee has received the Couples’ Choice Award 2017 by WeddingWire.com. Nina is the proud owner of Cheekadee makeup Artists. She has over 10 years of professional experience in all facets of makeup and styling. Her warmth and personality has won the respect and confidence of clients all over the country. Born in Philadelphia and raised in Los Angeles, Nina grew up around the fashion and film industry. Upon moving back to Philadelphia in 2004, Nina trained with Chanel cosmetics and worked with Chanel’s National Makeup Team. A versatile artist, she’s done runway makeup for the Phildephia Phasion Phest as well as countless photo shoots. She works continuously on styled wedding shoots with some of the best photographers in the industry. She’s been featured on many reputable sites such as Style Me Pretty,The Knot, Ruffledblog, Green Wedding Shoes and Philadelphia Wedding Magazine. She has also worked as a makeup artist for television and such films as “Benny the Bum”, “Mother’s day” (w/ Melissa Leo), “Sea of Tranquility” Cesar Millan of The Dog Whisperer as well as The Today Show and several others. During the past several years with Cheekadee, Nina has grown a large fan following based on her exceptional skill and genuine desire to help people feel beautiful. Her reliability and professionalism are what make her and her team unique. Cheekadee is the go-to choice by photographers and event planners alike. Cheekadee’s services include makeup for photo, film, video and special events in New York, Los Angeles and Philadelphia. She is an absolute pleasure to work with and a welcome and caring presence on your special day. *Provides Airbrush application as well. 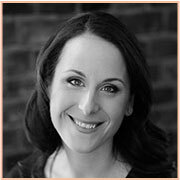 Jo is our Events & Studio Manager and will communicate with you throughout your wedding makeup process. She will be updating her bio shortly. We are excited to have Jo as a part of our Cheekadee team! 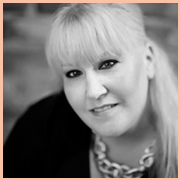 Cheryl has over 25 years of professional makeup and hair experience. With over 200 brides in that time, she has been featured in several publications in the beauty industry as well as lifestyle and editorial print. She has attended and been a part of hundreds of trade shows including NY Fashion week, and continues to work in commercials & film. Cheryl’s clientele also includes celebrities, musicians, and other well-known socialites in the NYC area. She creates natural but noticeable looks that have graced the red carpet, as well as fresh every day looks. Cheryl is also well versed in working with every gorgeous skin tone. Prepare yourself for the ultimate makeup experience. Aja has been doing makeup for over 15 years. Since childhood she has had an undeniable passion for the art of makeup. Beginning her makeup career at the age of 17, her natural talent was recognized early. Deciding to perfect her craft she traveled to New York and trained under celebrity makeup artists. She was one of the premier face designers of the first Giorgio Armani counters in the region. Aja has trained with other prestige makeup lines such as: Laura Mercier, Chanel and MAC cosmetics to name a few. Aja has worked on numerous celebrity clients, including: Jill Scott, Patti LaBelle and Marcia Ambrosious for TV, film and video. We are excited to have Aja as a part of our Cheekadee team! 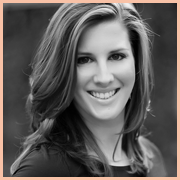 Nicole is a New York and Philadelphia based makeup artist who has been working in the industry since 2003. 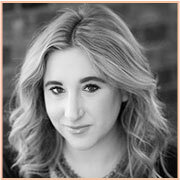 A Philadelphia native, she developed her love of makeup while studying Fine Arts and performing in musical theatre. This led her to move to Toronto to attend Complections College of Makeup Art and Design where she studied beauty, fashion, theatrical, film, and special FX makeup as well as creature design, wig making and studio hairstyling. Upon graduation Nicole was selected for a prestigious fellowship with the American Conservatory Theater’s wig and makeup department in San Francisco. While in California she also worked in the makeup departments of the San Francisco Ballet and the San Francisco Opera. After completing her fellowship, Nicole decided to make the move to New York to pursue a career in the fashion industry. Nicole now resides in Philadelphia. Nicole has worked with brands such as Anthropologie, Victoria’s Secret, Bloomingdales, Nordstrom, Macy’s, Hanes, Microsoft, Mix Apparel, Cool Sculpting, Lanvin, Chico’s, Glamour Magazine, Gap, and GQ. She continues her passion as a freelance artist, constantly growing and developing new, creative approaches to the art of makeup. Tony joins Cheekadee with over five years in the industry. 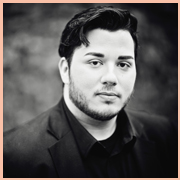 His experience includes fashion shows, bridal, and as a Certified Makeup Artist for Bobbi Brown, he is responsible for training artistry to his team and his clients with his detailed knowledge of Bobbi and her professional line of makeup and skincare. Growing up, his mother was a hair stylist, and attributes his creativity and love of color to her. He believes all women have an inner beauty, and the best way to bring it out is to inspire confidence in his clients with his work. Tony’s focus is perfecting the skin, through use of appropriate skincare and color matching, with airbrush or traditional makeup. He has a great deal of experience working with all different skin tones and textures, and prides himself on creating the perfect canvas on which to apply color. Kim has 25 years of experience as a professional makeup artist. She has concentrated her work in the areas of beauty, editorial, and runway however her specialty has always been in bridal makeup. Kim has trained with some of the best Celebrity Makeup Artists in the country and has been the Premier Makeup Artist for CHANEL for the past 6 years. During her time with CHANEL Kim has had the honor of being named the Lead Makeup Artist for CHANEL’s National Team. Kim’s has worked with an array of celebrities and local politicians including: Alyssa Milano, Tara Reid, Valorie Curry, Suzanne Roberts, Philadelphia Phillies Ball Girls, and many more. Kim’s work has been featured in several online bridal magazines and social websites. She is also a contributing beauty editor for The Examiner and Love the Way you Wed.
Kim’s runway experience is extensive, she has done hundreds of fashion shows in the PA and NJ areas including high fashion runways at The Ritz Carlton, The Bellevue, The Bellagio, The Loews Hotel, The Pennsylvania Convention Center, and Clinton Kelly of TLC’s What Not to Wear event at Macy’s. She has led many Trend Shows for Macy’s where she has been an educator and guest speaker. She has done shows for numerous designers including Calvin Klein, Jones NY, BCBG, Free People, and Rachel Roy. Kim’s runway career has led her to work Philadelphia’s Fashion Week since 2007. Beauty has always been close to Kim’s heart as she has many years of experience educating women on how to enhance their beauty both with personalized makeup lessons and master classes. Kim believes that every woman is beautiful and strives to help women become the best version of themselves through education, individualized attention, and reinforcing confidence. 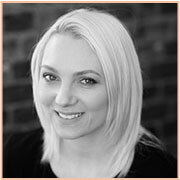 Hailey has the perfect blend of an art background along with experience in both skincare and makeup. She is a graduate of Penn State University with a degree in Art. Hailey went on to receive her esthetician license at the Jean Madeline Aveda Institute in Philadelphia. She also attended Jean Madeline Academy of Makeup where she worked with editorial makeup artist Rudy Miles to receive her certificate in Makeup Artistry. 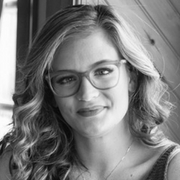 A licensed esthetician, Hailey incorporates her skin-care knowledge and her artistic talent into her love of making people beautiful. She is truly gifted. We are thrilled to have her as a part of our team! 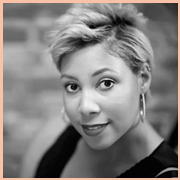 Wesley joins Cheekadee as a makeup artist, bringing with her a lifetime love of makeup. Following college, Wesley interned with renowned Baltimore based photographer Roy Cox. During her time with Roy, Wesley had the opportunity to study under a number of very gifted makeup artists. Wesley spent the next two years working and training with MAC Cosmetics, where she refined her artistry skills. Wesley is currently based in the Philadelphia area and continues to share her knowledge and passion for makeup with our clients. Wesley is an amazing artist and we are lucky to have her as part of our team. 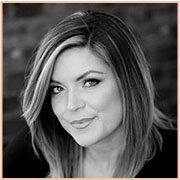 LeeAnn is a Philadelphia based makeup artist and eyelash extension technician. She received her initial training under celebrity makeup artists, and served as an intern to a well seasoned celebrity celebrity makeup artist here in Philadelphia. From there, LeeAnn is self-taught. Having a lifetime love and background in art her skills for makeup were quickly refined. LeeAnn believes confidence is beautiful, and desires you to feel confident by playing up your best assets. She pours her whole heart into her work and is dedicated to delivering only the best for her clients. Along with being passionate, she is also skilled in a variety of looks using both traditional and airbrush makeup techniques to create a flawless, long lasting face. She is also certified in eyelash extensions. LeeAnn is continuously growing in knowledge and is being rewarded by a growing fan base on her social media. For her, it is truly an honor to be a part of your special day and helping you feel your most beautiful ever! She always says, “Your most memorable days should also be your most beautiful.” *Provides airbrush application as well. Katie has been working in the field of makeup for almost a full 10 years. Since she was a child she has been an artist. Painting and drawing at every opportunity. After she found her love for makeup she began doing photo shoots, weddings and proms at age 17 and enrolled in Makeup Designory New York in 2009. There she learned the art of makeup for film, tv, runway, special effects and studio hairstyling. From there Katie worked in theater production, was published in multiple fashion magazines, and traveled the country with a special FX shop as their painter. Since then Katie has grown into commercial film and music video work. Some clients include: Comcast, Subaru, Boost Mobile, University of Pennsylvania, Wyndham Hotels, Hulu, and Funny or Die. She has assisted multiple artists and worked in the makeup department for clients like Urban Outfitters, Freepeople, Spencer’s, and Spirit of Halloween. She has multiple feature films and short releasing this year with some name celebrity talent and is always working on a new sculpture or painting in her spare time. Through all of this Katie has kept working with brides for her whole career and will always love making a bride feel beautiful on her big day! *Provides airbrush application as well. 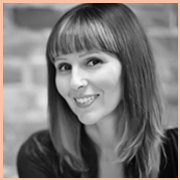 Michele Wilderman has been a licensed hair stylist and makeup artist since 2008. Originally working in salons, she journeyed her way into weddings and channeled her energy into making her clients feel beautiful and the best physical versions of themselves. Education is one of the most important principles in Michele’s work and in 2012 she ventured out to LA and attended a makeup school learning media makeup techniques.After returning from this course she became certified in NYC for advanced airbrush training at TEMPTU, the leader of airbrush makeup . Her passion grew into her love for working on photo shoots, television, fashion and film. She has and continues to work on QVC for their hosts and guests, celebrities for films and commercials and fashion shoots with some of NYC’s great photographers and models. 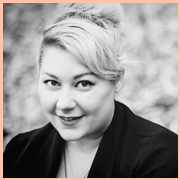 Being published in multiple fashion magazines and weddings blogs has kept Michele’s passion for her craft Alive and growing but weddings have always been number one in her heart. *Provides airbrush application as well. 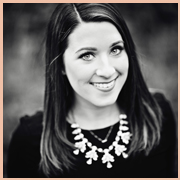 With over 5 years of experience in the Wedding Industry, Jen is here to be your guide through the best (and often times stressful) day of your life! Jen wants to make you feel special at every opportunity especially when you see how perfect you look in your pictures. Whether you need her to take the wheel on a massive party or just need someone to keep you slaying on your day, she is here for you. Nothing makes Jen happier than to make a woman realize how beautiful she is, and she looks forward to helping you on your amazing day.